Beautiful. modern. highrise. 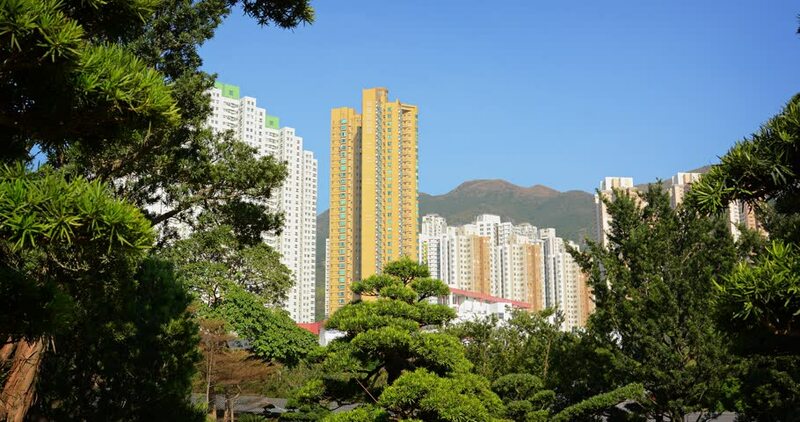 residential buildings in a Hong Kong. overlooking the trees and gardens of an urban green space.